In the not-too-distant future, travelers may be able to plot trips from Miami-Dade County’s southernmost point to the north tip of Palm Beach County with just a few finger taps. Miami-Dade transportation personnel are developing a mobile ticketing program and interlocal agreement that, upon completion, will enable the county and its partners in the South Florida Regional Transportation Authority (SFRTA) – Broward and Palm Beach counties – to operate together on mobile-based transit solutions. The project is still in its preliminary “pilot” stage, with technology infrastructure and policy-based consensuses still pending, according to Transportation Director Alice Bravo, who said the counties were “very supportive” of the idea. 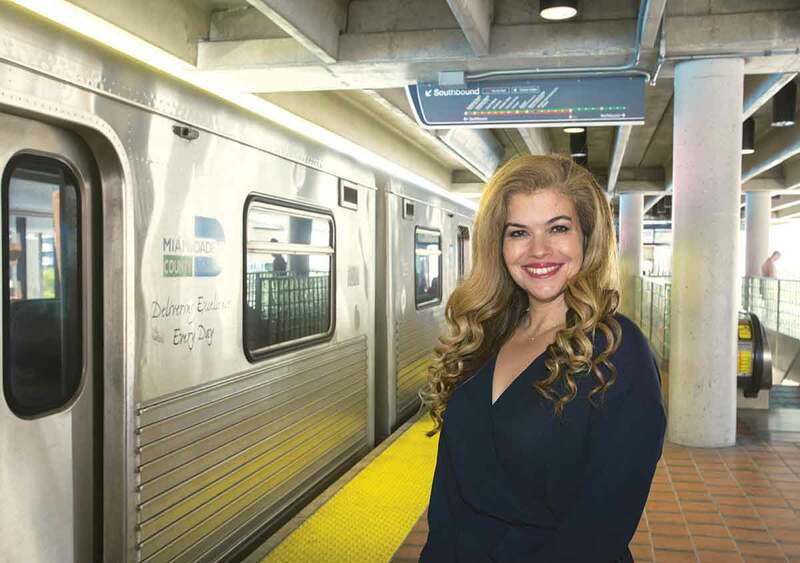 In June, Miami-Dade’s transportation department unveiled an upgraded EASY Pay mobile app for its transit system that integrates digital account management and allowed users to buy one- or seven-day passes, automatically load payment and view their trip histories. Despite “minor issues” users reported that “have since been corrected,” the app has proven successful, with more than 21,000 downloads from the Apple and Android app stores, transportation spokesperson Karla Damian wrote. ■Apple Pay and Google Pay in-app payment options. ■Real-time Metrobus and Metrorail tracking, including alerts. ■“Touch” (fingerprint) identification and facial recognition software. ■An opt-in option for automatic notifications of account and service information. ■Trip planning with Google Maps “or other standard tools,” including bike share information. In August, Ms. Bravo said the county was in the early stages of developing software to plan and pay for trips using multiple transportation modes from both public and private providers. In theory, she said at the time, travelers could use a bike- or scooter-share service like Lime or Ofo to get to a bus stop, take a Metrobus to a Metrorail station and, once their rail ride reaches the stop closest to their destination, hop into an Uber to complete their trip, with every segment of their journey paid for and planned through a single app. The county had previously entered preliminary discussions with Uber to integrate its transit system onto the ridesharing company’s app, Ms. Bravo had said. Angel Petisco, Miami-Dade’s chief information officer, said the county was in talks with several companies that could deliver such services. Ms. Bravo this week said her department had previously released a proposal request seeking a potential bike-share partner and was close to launching a program with Ride On, an electric-motor-assisted bicycle sharing service. According to RideOnMiami.com, Ride On will exclusively provide bicycle sharing services at every county transit facility, including Metrorail and Metromover, with an initial phase starting this year that will feature more than 2,000 e-bikes at 120 stations. Unlike Lime, Ofo and Spin, which have established deals with several incorporated cities within the Miami-Dade, Ride On utilizes docking stations to recharge its bicycles when not in use. Renting a Ride On bike will initially require users to download the company’s app, but Ms. Bravo said the service will eventually be available on the EASY Pay app.